Brewing up the future. Today. The world’s leading brewer, Anheuser-Busch InBev, is looking to add top talent to its Brewing Operations Team within ZX Ventures, the company’s Disruptive Growth group in our New York City office. You are excited by the opportunity to help seed our beer and non-beer brands while identifying new markets in which to expand our operational footprint. You are able to create global frameworks that inspire action and help our brand’s commercial performance by determining the optimal portfolio, connections, and route to market strategies. You are able to influence, drive action and create value with our global team in a fast-paced environment. You are ambitious, have a strong performance track record, and the ability make clear recommendations to senior leadership. Build a network of internal and external experts provide functional and subject matter expertise to support local markets. Work closely with ABI business units and the ZX Ventures zone based teams to define annual plans, including key initiatives, best practices and budget allocation. At least 4 years experience in commercial roles, including both sales operations (distribution, blueprint, systems) and marketing/brand functions (positioning, visual identity, social media, connections). Strong command of commercial strategy. Experience with opening new market operations. M&A integration is a plus. Excellent project/program management skills and ability to get things done in a fast paced environment. Proven track record of strong business results, ownership and a bias for action. Even if you haven't heard of ZX Ventures, you're familiar with their work. They're the global growth and innovation group within Anheuser-Busch InBev, charged with disrupting the beer industry by investing in, and developing, new products and businesses. Those products span offerings like: unique beverages that shape emerging categories, physical bar experiences that offer new ways to consume beers, at home devices that empower consumers to customize their own beverages, services that step-change convenience via eCommerce and delivery, and more. It helps that they've got the power of the fifth-largest consumer packaged goods company in the world behind them. Learn skills and get an insider's look at ZX Ventures when you watch classes taught by their top employees. 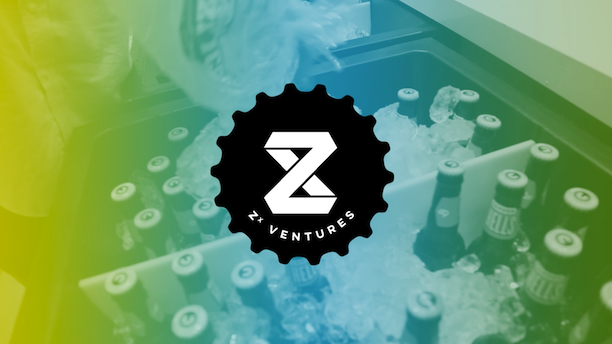 Want to learn more about ZX Ventures? Visit ZX Ventures's website.